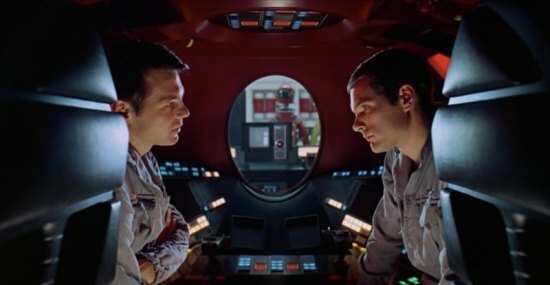 Celebrating the 50th anniversary of Stanley Kubrick’s 2001: A Space Odyssey, Warner Bros. Pictures will debut an ‘unrestored’ 70mm print of the director’s groundbreaking science fiction epic at the 71st annual Cannes Film Festival. Widely considered among the greatest films of the 20th century, 2001: A Space Odyssey will return to select U.S. theatres in 70mm beginning May 18, 2018. Set for Saturday, May 12, the world premiere will be held during the Cannes Classics section of the Festival, featuring an introduction by award-winning filmmaker Christopher Nolan. The screening will also be attended by members of Stanley Kubrick’s family, including his daughter, Katharina Kubrick, and longstanding producing partner and brother-in-law, Jan Harlan. Nolan will also participate in a Cannes Masterclass, set for Sunday, May 13, during which he will discuss his highly acclaimed filmography and also share his passion for the singular work of Stanley Kubrick. For this milestone anniversary, Warner Bros. will continue the celebration later this year when Warner Bros. Home Entertainment releases 2001: A Space Odyssey for the first time in 4K resolution with HDR. Also produced in close collaboration with Nolan, the home entertainment release will be available in the fall of 2018. With 2001: A Space Odyssey, director Stanley Kubrick redefined the limits of filmmaking and cemented his legacy as one of the most revolutionary and influential film directors of all time. Originally released in 70mm Cinerama roadshow format on April 4, 1968, the film ignited the imaginations of critics and audiences alike and its impact continues to resonate to this day. An award-winning director, writer and producer, Christopher Nolan most recently earned dual Academy Award nominations, for Best Director and Best Picture, for his experiential tour-de-force Dunkirk, which in July of 2017 received the largest 70mm release in the last quarter century. His diverse filmography also includes Interstellar, Inception, the blockbuster Dark Knight Trilogy, The Prestige and Memento, for which he received his first Oscar nomination, for Best Original Screenplay.